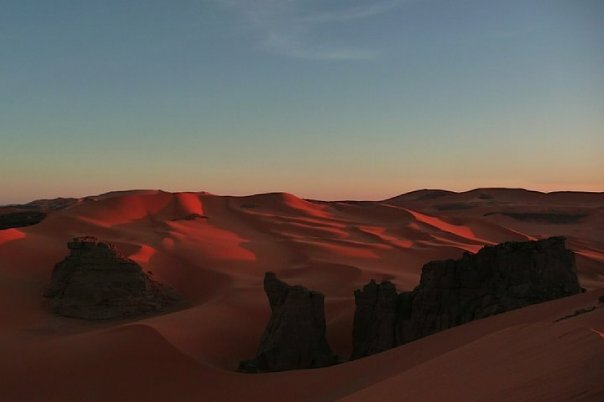 In the southeastern part of Algeria lies Djanet, which is hardly a city; rather it’s more like a cluster of buildings around the same oasis and a palm grove. Nevertheless, Westerners zip by in crowded jeeps, and covered faces trudge through the powdery sand led by a single Touareg. They follow a typical route that takes in the prehistoric cave art and visit the local market. At night, they find themselves nestled sweetly in comfortable rooms with toilets, showers, running water, and even mattresses. A smaller group of adventure-fueled travellers set out on a more demanding excursion by camel. They travel the silent dunes atop the creature of the desert. Almost no tourists will venture the limitless sandy land without four wheels or feet under them; I was about to embark on a journey beyond my wildest imagination. 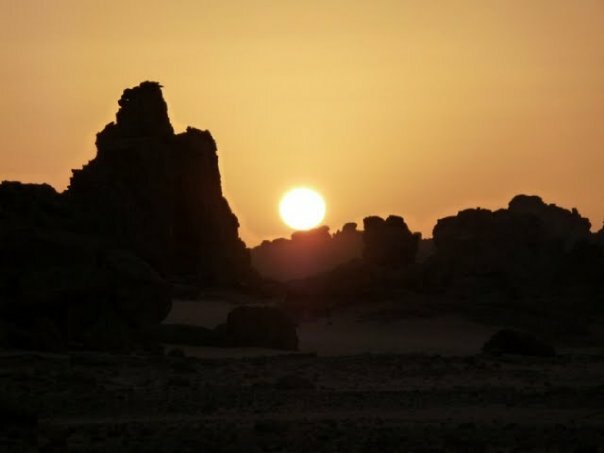 In an effort to connect with the most mysterious oasis in the Sahara, I set out with Hassani Mohmmed, a 30-year-old independent guide of the Touareg tribe. My desperate desire to discover the desert and its traditions led me to exhaustion and tunnel vision, but in my quest to be closer to nature, I found the nature in being free. It was this new world of experiences and freedom that put Djanet on my top ten list. The reception by the local team of touaregs at the airport was beyond anything I’ve experienced in my life. I felt instantly at ease with my new friends even though I was the only woman among them. My journey began with a transfer from the airport to the community by 4×4. The day proceeded at the calm, quiet rhythm of the desert. It wouldn’t be long before Hassani Mohmmed would put my hiking skills to the test. 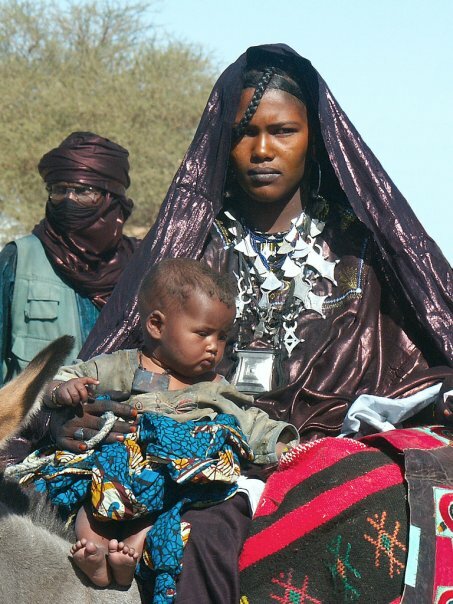 The Touareg, also known as Twareg, are a nomadic, pastoralist people. They are the principal inhabitants of the Saharan interior of North Africa. 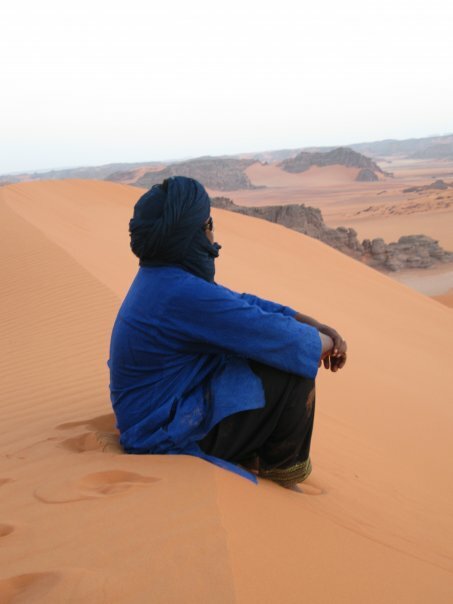 They are an ancient Saharan peoples and I wanted to experience in some small way what these men and women saw on a daily bases for centuries; to travel as the Touareg always had and to learn whatever desert skills they had to offer was a great honour. Our travels took us well beyond the astonishing plateou of Tamrit, where we ventured in solitude to Tin Mansonsin, Safra, Allar Endman, and Jabbaren. We also completed the decent of Agba before returning to Djanet for the discovery of the city. As we began our trek in silence, I was awe struck by the absence of smells in the desert. The warm fabric against my face cast a sudden awakening of my other senses. The greens and blues of my clothing contrasted so dramatically with the earth-tone world around me that I extended my hand in front of my face to discover an almost cartoon-like image before me. “This is just the beginning,” was Hassani’s sole response. I’d been so taken by the oddity of my existence in the surroundings that I had forgotten to look at the natural beauty of the desert. The rocks were veined with streaks and they were wrapped in soft pinks, corals, reds, and oranges. The beautiful oasis was lined with a peace and tranquility that only such a desolate area could provide. The everyday worries of work, traffic, crowds, and business were blown away with the sand. I felt a sense of relief and comfort even though there was nothing in sight but sand and sun. Midway through the first day’s journey, we stopped for a tea at a standstill. Hassani set up a tent while I admired the view and attempted to take pictures of myself. We removed our shoes and sat cross-legged on the woven plastic mat. “Have tea,” Hassani insisted with a smile. He poured a tiny glass of tea for both of us. It was as if I was seated at the kitchen table of my house. He made the whole process so natural that I was completely at ease. After the exchange of typical, generic conversation, we discussed family, friends, travel, and even future plans. I contemplated what life must be like on a daily basis and I quickly became lost in thought. Even in such dramatic surroundings, it’s easy to find similarities between cultures and people. Hassani saw his family with the same respect and appreciation as I saw my own. We reached our first camp several hours later. A friend and fellow Touareg drove out in his Land Rover to prearrange a place where he built a fire, spread a woven plastic groundsheet and prepared an end-of-day feast. Carrying all of those supplies while on foot would have been impossible. While darkness fell, we ate hummus with our hands off pita bread that had been laid directly onto the smoldering ashes of the fire to warm. I spread my sleeping bag on the barren ground and wrapped the headdress or keffiyeh around my mouth and nose for protection against sand and insects. The tranquility of the desert night was surreal. As I stared at the vast, silent, star-lit sky, I drifted off to sleep. Being in such a place was the nearest I’ve ever come to feeling as though I was exploring another planet. 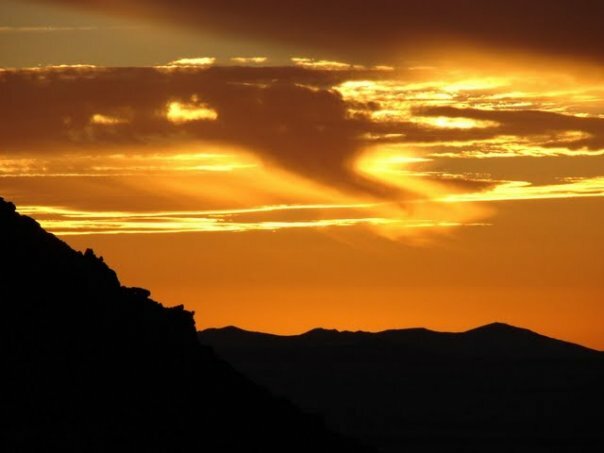 My adventure had only just begun, but I already had a new perspective on the culture and environment of Algeria. I discovered an exceptional universe in a strange, charming landscape and it will stay with me for as long as I live. After completing my life-altering journey, I felt compelled to include Djanet, Algeria in my top ten. This entry was posted in Africa, Top 10, Travel, Uncategorized, vacation, Vacations and tagged Adrenaline, adventure, Africa, Algeria, backpacking, bucket list, Children, culture, Djanet, escape, Family, journey, landscape, life, love, oasis, photo, photography, Sahara, travel, traveler, vacation by lesleycarter. Bookmark the permalink. Wow, quite the adventure for an East Coast Canuck. This is my favorite read thus far in your top ten! I wasn’t sure if this fit well with my top ten, but it was so impacting on my view of life that I needed to include it. Stay tuned for the top 3.
im so jealous u have been so many places!!! where has been the best place u have been ? where is the list of all the places uve been interested in seeing where u have gone! Great pictures. You should offer them to http://www.dreamstime.com/res730360-stock-photos they have fair conditions. They do a quality check and it takes a while until you get approved, but your pictures are worth a try. Photos are wonderful – thank you for sharing this. It is so wonderful to see pieces of the world one has never seen from your enriching perspective. You are the most adventurous person I know. Oh that’s right, I don’t know you. But I feel like I do! You have such a way of writing that makes me feel like I’m there with you! I feel connected to people from around the world through reading their stories and the comments they post on mine. Wordprress.com has made the world a little smaller for me. Beautiful trip, but I’d be worried about little critters crawling on me at night. You’re very brave. Great photos! Some of the critters were not so little (have a look at Camel Spiders). I just tried not to think about it and trust in my guide’s skills. Thank you for the kind words. It was a life-changing journey that gave me strength in the most unusual ways. I’m truly grateful to have the experience. Your articles are wonderful. I’ve found that I’m not a very good traveler. These are the first stories I’ve ever read that make me wish I was. I attended university for seven years and have three degrees but I’ve never learned half as much as when I was travelling. WOW! One of the best stories I’ve read. Keep it coming. Thank you! This one was a little more personal and life-changing than the others but worth nonetheless. This post really took my breath away. It bugs me that I didn’t go into the desert while I was in Morocco, so this makes it a definite when I return. I’m really looking forward to the next 3 posts too! Wonderfully written, thank you for sharing! I’ll put that one on my list….great post. Great post. 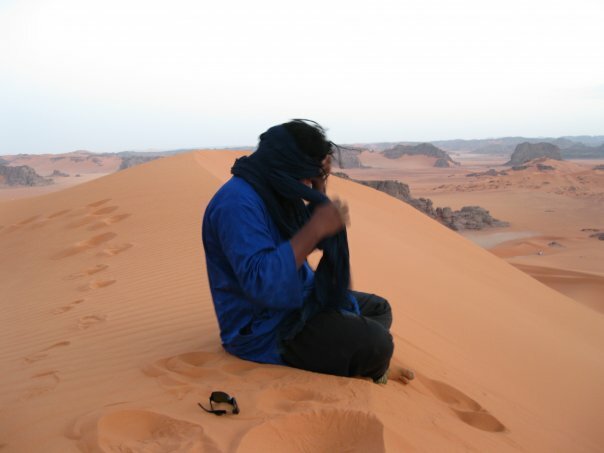 We spent about five days travelling the Libyan Sahara before the war broke out in 2009, and it was really one of the most fantastic places I’ve ever been – although not getting to wash for five days in all the dust was a bit trying! The shower at the end was blissful. If you have a chance – the Ubari lakes are a must see – little jewel like blue lakes in the middle of the towering sand dunes. This has been my favorite to read so far. Maybe it is because it is so different than my travels and it is so fascinating and beautiful! I really enjoyed reading this– your description is incredible and so are the pictures. I always thought people just avoided the desert because it is, well, the desert. I remember flying over the northern part of Africa and being amazed at the amount of desert there. We went to the jungle, though, so it was far different. At any rate, looks like this was eye opening. I think I would be surprised by what it actually is like, since I have my own preconceived ideas— none of them make me want to go there. Fantastic images! Great idea with the top ten favorite cities. Thanks Kevin! I’m loving reliving the memories. Thanks for sharing your story. 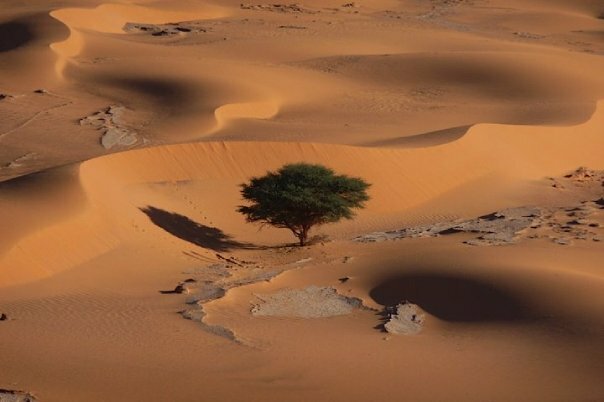 I would love doing something like this in the Sahara; maybe some day… Great photos, I particularly like the one of the tree and the one of just the dunes. I need to catch up on the others on the top ten list. Stunning photos! The first photo is quite powerful and impressive! I must say I was surprised to see this city on the list. Thanks for the great stories and picture but most importantly for giving the desert it’s due! Ok, I’m going to be like you starting this year. Thank you for sharing your experiences and beautiful pictures. Great post! I can sense the wonder and awe of being there. I love the top 10 series! amazing. simply amazing. may i ask how you decided on Algeria and how you began planning for this trip??? WOW absolutely amazing! Being in an environment where you are able to connect with yourself and understand those around you is beyond amazing. It’s these moments that most people miss out on as their busy getting ahead in life- whatever that may mean. Thanks for sharing. Reading this really does give inspiration and motivation to get out there and explore!!! Absolutely breathtaking photos – thank you for sharing them! Lesely thanks for sharing such a wonderful experience, a great read and excellent images. This is what Naturegazers is searching for, true life sharing experiences from people around the globe. Be at simple as from your own backyard to an international experience such as yours.. awesome. I loved reading this! 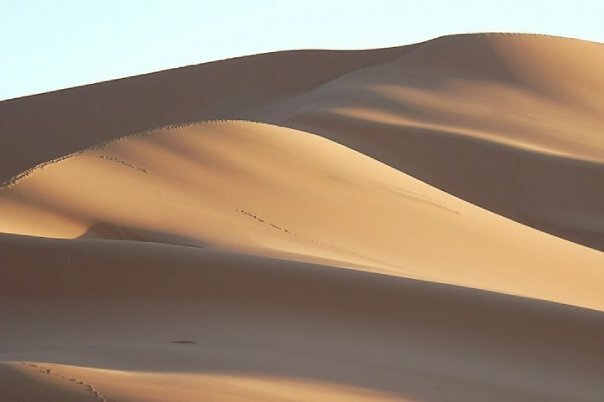 Going to see the dunes in Africa is something I’ve been thinking about doing in a few months… although I can’t decide between Morocco and Algeria. How great to read about this place. And the photos are wonderful! ANother great trip, lovely pictures. ohhh your travels make me so jealous! Thanks for making it come alive in front of my eyes! Wow love reading this, very inspiring and makes me want to travel even more :).